The product catalogue is how the supplier display his products to customers on his online store. All products on the product catalogue that have a price will appear to that group of customers on the online store. Can a customer browse/ buy items that are not listed on their group product catalogue price list? How can I set a minimum order value? 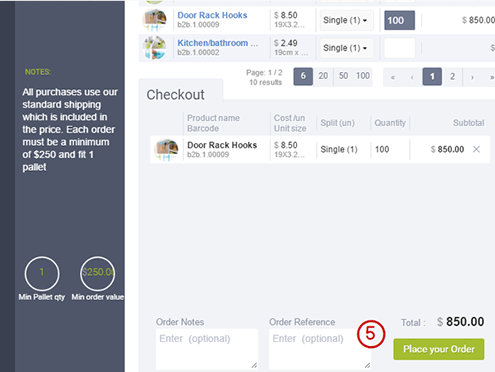 Want to set a minimum order value or quantity for your customers? No problem! With iStockist, it’s easy to set it up for a group of customers. If the buyer’s cart is less than the minimum order value and/or quantity, they won’t be able to buy. Once the minimum order is reached, they can go ahead and place the order. You might ship your products in volumes, such as a minimum of 1 pallet or 1 trolley, etc. 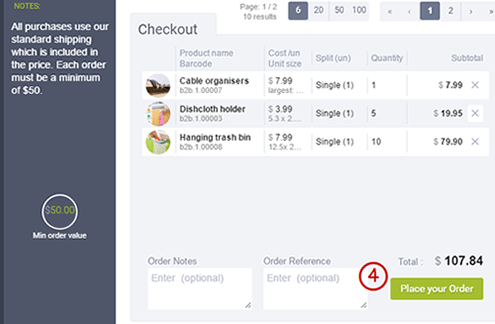 iStockist gives you the ability to set up minimum order quantity.